Home » Ask The Trainer Blog » Health » You’re Pretty Sure You Have a Concussion — What’s Next? Maybe you took a bad tumble during a friendly basketball game, and you haven’t stopped seeing stars since — or maybe you walked away from a car crash, but you feel confused, dizzy and a bit sick. In either case, you could have a concussion, a traumatic injury caused by the brain slamming against the inside of the skull and damaging its delicate tissues. If you do have a concussion, you should seek medical help immediately — but what does that entail? Symptoms for concussions range widely; you don’t need to faint or have headaches to rightly suspect you are suffering from a concussion. A medical professional will help you determine whether you have been concussed and what you can do to help your brain tissues heal fast. The first step to getting your concussion medically treated is knowing which medical facility to go to. Specifically, should you go to urgent care or the ER for your concussion? Hospital emergency rooms are equipped to handle all sorts of medical problems, including concussions, but they will also cost you thousands of dollars in bills. Typically, an ER is only a good option if there are no urgent care facilities nearby or if you are suffering extreme symptoms from your concussion, like loss of consciousness or inequal pupil sizes, or if any symptom remains persistent for a stretch of time. Otherwise, you should be able to find an urgent care center in your area that will be able to treat your concussion effectively. The medical professional you visit will begin your visit with a series of tests to determine first that you have been concussed and then the severity of the concussion. The first of these examinations is a neurological checkup, which tests a variety of senses non-invasively to determine the concussion’s effects. You will also likely incur a cognitive examination, which will entail questions that test memory, awareness and other brain functions. Finally, if your care provider deems it necessary, you may be sent for imaging tests like a CT scan or MRI, which will show the extent of the damage to your brain. If your concussion is serious enough to warrant a trip to the ER, you will likely be held overnight for further observation by doctors, who will continue to assess your symptoms. Unfortunately, there is no magic pill that cures a concussion. Instead, physical and mental rest is the most commonly prescribed treatment. Your doctor will likely tell you to avoid any activities that bring on symptoms, especially any sports or vigorous movements, but you might also want to avoid playing video games, reading or performing other activities that require mental concentration. You can slowly introduce these activities as your symptoms improve, but you should only do so at the recommendation of your doctor. Though “rest” seems like a treatment you can administer on your own, it is crucial that you seek medical attention for your concussion. After all, you only have one brain, and if there is something more seriously wrong with it, you want a doctor to identify that problem and provide more appropriate treatment for it right away. It’s important to note that concussions — or any medical problem with your brain — are not easily fixed with medication or surgery. 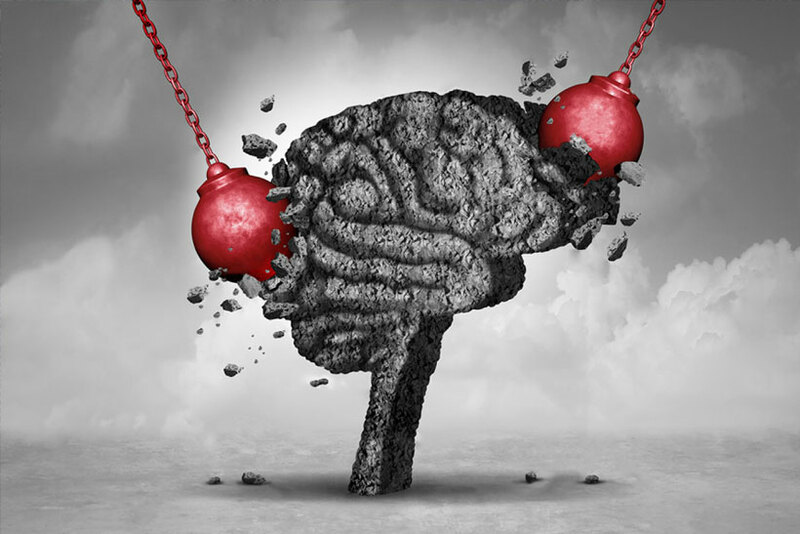 While a concussion might feel like a relatively benign injury that you quickly and easily recover from, in truth concussions can have serious, persistent effects on your well-being. Athletes who are at risk of frequent concussions, especially those in contact sports like American football, hockey, rugby, basketball and boxing, can suffer extreme long-term health problems,e.g. memory problems, depression and changes to personality. Chronic traumatic encephalopathy (CTE) is a degenerative brain disease found in athletes who suffered frequent concussions and typically died young. While few people suffer long-term effects of concussions — meaning you should expect to recover fully from your concussion — it is wise to avoid whatever caused your concussion in the future. To prevent suffering another concussion — which will increase your risk for long-term effects and CTE — you should always wear well-fitting protective gear (especially helmets) during recreational activities. In fact, it’s a good idea to use safety precautions no matter where you are or what you are doing, from wearing a seatbelt in the car to ensuring your home is well-lit and free from tripping hazards. Strength training exercises for your legs and core will keep your body fit, so you can avoid dangerous tumbles. A concussion might feel like a minor health issue, but left untreated, it can have lasting effects on your life. By knowing more about what you can expect during medical diagnosis and treatment of a concussion, you should be more inclined to seek medical support and recover fully from this traumatic event.